Proverbs is filled with wisdom from King Solomon. 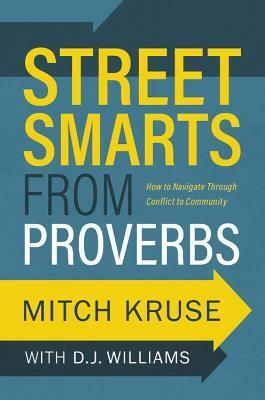 Follow the author as he uses the verses in Proverbs to navigate through the many issues of conflict. Using twelve words pulled from the Bible the book shows how to experience God's changing power in life, especially in regards to relationships. There are stories from people who have experienced life through these steps as well as how-to sections that show the reader how to put the truths into action. This was an incredibly difficult book to read. It didn't flow well for me. The author used a few stories to make the text more interesting, but this didn't seem to help me. Part of the problem was that the author made assumptions about the reader, that in my case were often not true. So this led to large portions of a chapter not fitting my situation. I think the concept was great, but the delivery wasn't clear or was too verbose or complicated. There was too much information and not enough practical application. Alex is the last Di Sione grandchild to be sent on a journey to find his grandfather's treasure. His request is for the painting of a disgraced royal. But when Alex goes to the island to retrieve the painting from the queen, he runs in to her daughter, Princess Gabriella. Gabby isn't anything like his vision of a princess. Neither are exactly thrilled when the queen sends them together on a hunt for the lost painting. 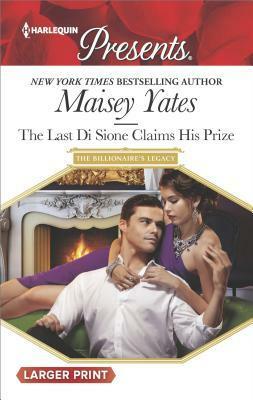 I enjoyed reading the conclusion to the grandfather's quest for his lost "mistresses". I liked the quiet bookworm of a princess. The story flowed well and how I expected it to go. The author did a great job of tying everything up nicely. I believe the story could be read as a stand alone book, but would be enjoyed better if the previous books are read first. I wasn't fond of Alex, the main male character. His emotional maturity was lacking and I quickly became frustrated with his indecisiveness. I get where the author was trying to go with his emotions, but it just didn't connect with me. But overall, this was a fun read, and a nice conclusion to the series. 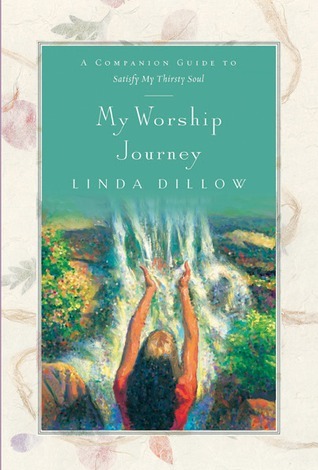 Part journal, part devotional, part supplement to the book Satisfy My Thirsty Soul, this book will delight anyone who is a fan of Linda Dillow. The book is divided up into twelve weeks. It begins with an intro that explains the book and how the author envisions the reader using it. There is a couple of pages with journaling tips. Each chapter, or week, begins with scripture, a thought from the author, and then the worship experience. The rest of the chapter is journaling space, interspersed with quotes and scripture. I loved the thoughts that Dillow wrote. She is wonderfully gifted with words and can bring up thoughts I hadn't considered. The journal meshed beautifully with the companion book, but could be used alone or with another worship book. I loved the layout and soft grey/blue pages that gave the book a reverent, peaceful tone. Overall, this was a wonderful addition to my devotional time and I would definitely purchase it if you are planning on reading the companion book. Ellie, a recent widow, has found a job working at a diner. She hopes to be able to leave the awful conditions of her in-laws home and move into town. But her boss is a grumpy, reclusive man who might cause some complications when he finds out her secret. And pretending to be engaged is a lot harder than it looks. This was a super sweet, if not a bit predictable, story. The two main characters went well together. I have read two of the books in the series, and recognized a couple of characters. But I definitely felt like this could be read as a stand alone and the reader not be lost. The little bit of drama and the large elements of faith were a plus to the plot and helped round out the story. Overall, I enjoyed reading this book and look forward to more by this author. Nicole might not be the son that her father always dreamed of, but he loves her deeply. So when Nicole hears that her father is gravely ill, she rushes home to see him. Once there he asks that she find a husband among his friends to give him an heir to the shipping company. Once Nicole is married her father will pass on the job of managing Renard Shipping and gift him with the Lafitte Dagger. Darius isn't remotly what her father had in mind for her. And when he learns her secrets he might not be interested as well. But Nicole trusts him and will ultimately own him her life. This was a fun, exciting, and adventurous plot. The characters fit well with the time period and the story. I loved the interaction between Nicole and Darius, as well as the members of his house. The author did a great job of making the story come alive with her descriptions. I enjoyed the small elements of faith that were woven into the story. She made flawed, yet agreeable characters that meshed well together. Witemeyer is one of my favorite authors for a fun, clean, romantic story and this one was no exception. Welcome to First Line Friday! "My kitchen is painted yellow. Because yellow is the color of sunshine and of joy and because yellow is my favorite." I haven't had a chance to read this book yet. But if it's anything like her last book, I'm in for a treat. Prayer can change everything. As women we often find ourselves run ragged with busy schedules and packed agendas. But taking a moment to pray can change the course of the entire day. 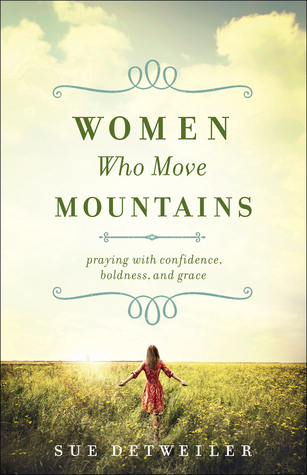 Join the author as she delves into the depths of prayer and learn how it can draw us closer to the heart of God and move the mountains in our lives. A study guide and journaling prompts are included to make the book perfect for personal study, small groups, or a women's Bible study. I read through the book so that I could write a review. But this is a book that needs to be read slowly and soaked up in tiny portions. So I will be going back and reading it and studying the questions and answering the journal prompts. But just from reading, I was blessed and inspired to pray more. The layout is perfect for devotional time or to be used in a group setting. The author tells relevant stories to get the point across and the writing flows well. This is a deep book that will definitely touch your heart. My only complaint is that the type is rather small and it made it a little more difficult to read, especially for longer periods of time. But small print aside, this was an amazing book that I think every woman should read. Jason has found a strange box in his grandmother's attic. The contents do not make sense, and it has a note addressed to him. He enlists the help of his friends from the Junior Detective's Academy to help him solve the mystery. 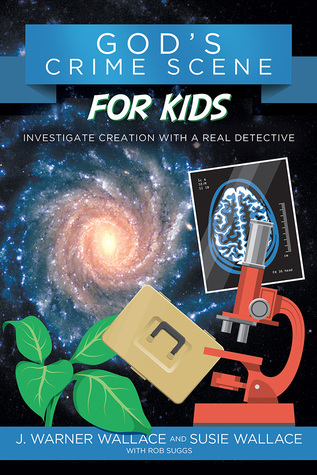 Readers learn how to use clues to solve the mystery for Jason and to discover God in creation. The book is written in present tense with drawings that are almost cartoon like. Throughout the book are Detective Definitions, Dig Deep assignments, and Tools for becoming a better detective. I read the book, but also had my 9 yr old read it to get a perspective from the targeted age group. I was a little thrown off by the present tense wording, but it didn't seem to bother my daughter. She read the book, but didn't get involved in any of the extra activities that were provided for the reader. She said she liked it, but wasn't very engaged. It was "just a nice story". Since she is a huge fan of mysteries, this surprised me. This made me wonder if it was how the book was written, rather than the subject matter. Overall, it is a very neat concept that I think most kids will enjoy. But it didn't grab my daughter or I like we'd hoped. Haley has vague memories of her past, but her mother discounted her nightmares as just dreams and Haley has moved on from her past. Now her past is threatening to kill her and Haley is struggling to stay one step head of the killer and keep those she loves safe. Steven moved home to be near his deathly ill father. When he meets Haley he feels an instant connection that has nothing to do with her beauty or position as a body guard. 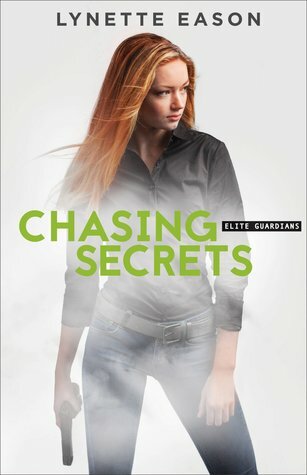 He joins the race to find out her secrets in time to save her. I've enjoyed all of Ms. Eason's books, but I think this one was my favorite. The book begins with a dramatic start and doesn't let up the entire book. It brings all of the other characters from previous books into the plot, but could definitely be read as a stand alone. I would recommend reading the others first though. You won't be disappointed. The author has a way with words that bring out the suspense and drama of the moment. She's also good at the romance part. The chemistry was great with the two characters and fit well with the story. Loved this book and can't wait to get her next one. "Alexander Jamison had always wanted a sister. Instead, she had three brothers." Last week was my first time doing this and I had so much fun checking out all of the blogs and adding interesting books to my wishlist. Alexandra has been in mourning and almost driftless since she lost her fiance in a train wreck. She's been unable to make sense of his death and is now afraid to ride on a train after witnessing the collision. Sylas has left Colorado and come to Nashville to bid on a railroad project. 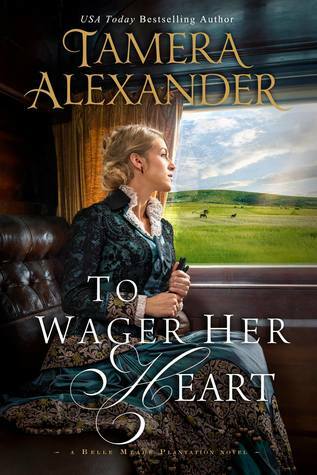 He's not exactly comfortable in the genteel southern society and asks Alexandra to coach him on the southern customs, especially business deals. This was a fascinating story. The author drew so much from history and it actually felt like I'd stepped back in time to experience the same things with the characters. The story came alive with her visual descriptions. The characters were authentic and had such depth; they were relatable and likeable. 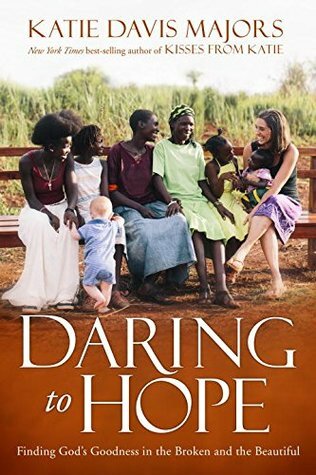 I loved the story of faith and love that was woven so intricately throughout the book. While flawed, the characters had real relationships with Jesus and this shone through. 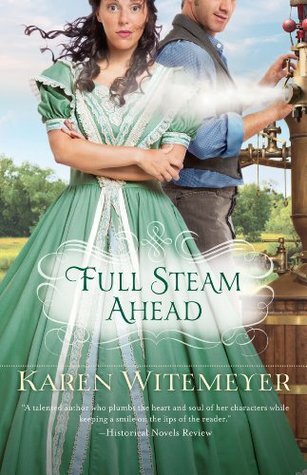 Overall, I would definitely recommend this book if you enjoy history, clean romance, inspiration stories, or just a well written story. David began experiencing stress related symptoms with work. Soon he was so immersed in depression that he was unable to work or even function. After multiple hospital stays and lots of different doctors and therapists, David found that painting was his therapy. I'm not usually a fan of memoirs, but this one was very interesting. I enjoyed the authors candid honesty about not only his issues, but his triumphs as well. The writing flows well and the details are clear and help tell the story. The author shares some hard emotions, but does so without bringing the story down or make the story "depressing". I actually learned a lot about mental illness and how patients and their families deal with the issues that surround it. 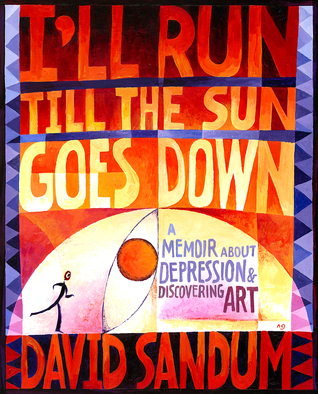 I would recommend this book to art enthusiasts or anyone who is dealing from mental illness. I am super excited to be starting something fun with a bunch of fellow bloggers. 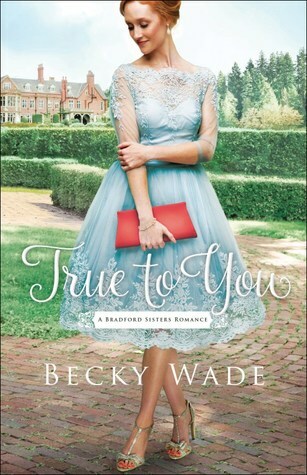 The first book I've chosen is True to You by Becky Wade. 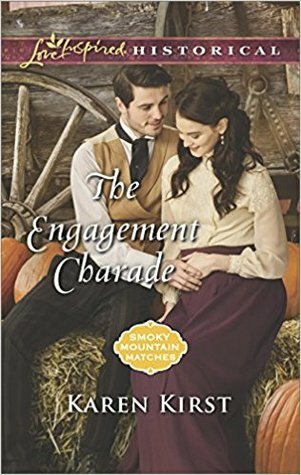 She's a relatively new author, but has quickly become one of my favorites for her humor, clean romance, and interesting plots. Not exactly what you'd expect from a contemporary romance novel, is it? !